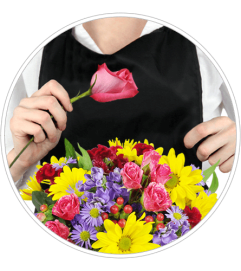 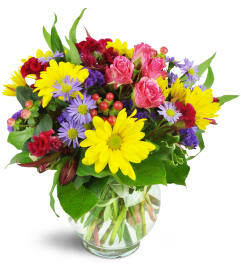 This arrangement will bring the enchantment of an English garden right into your home. 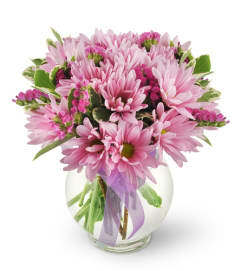 A great gift for birthdays, housewarmings or just because. 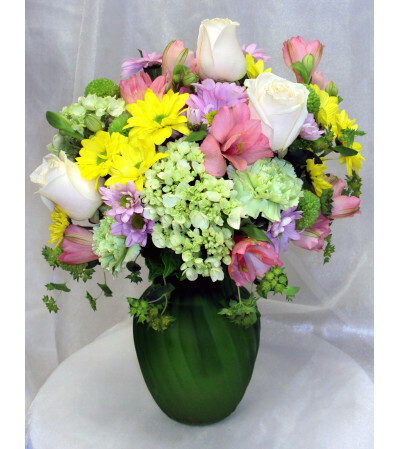 White roses, green hydrangea, green carnations, green button chrysanthemums, mauve alstroemeria, yellow and pink daisies are all artfully arranged in a rich frosted green vase.